Lachlan Liesfield’s #bookreview is almost an #authorreview as he writes not only of Albert Camus’ incomplete final novel The First Man, but of Camus himself, and the insight the novel offers into the late, great author. The story of The First Man is well known. 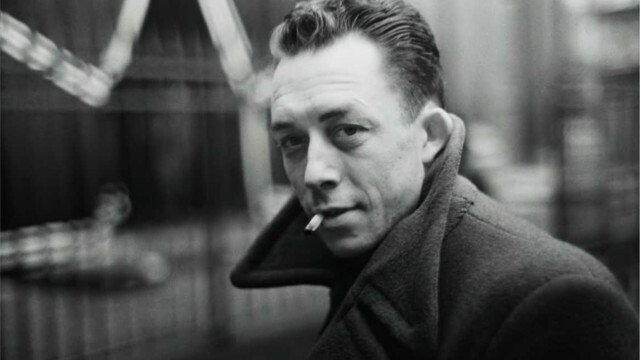 On the January 4, 1960, Albert Camus was killed in a car accident near Sens, France. By the roadside of the crash was the manuscript for his unfinished novel. While incomplete, Camus’ highly autobiographical The First Man is a fascinating account of a location and time, often unvisited in any medium, and too provides a glimpse into the working mind of a Nobel Prize winning writer – an enviable piece of information for any interested in how such a man worked behind closed doors. The First Man is a stunning recollection of a foreign world, whose poverty mixes with its eccentricities to create a location that becomes so clear in the mind one could mistake these stories for their own memories, relayed to them by a close friend who shared in them. Camus’ prose has a poeticism that hides under the surface of his sentences, creating always engrossing reading on otherwise often dull topics. Scenes of barrel making take on a sense of beauty through Camus’ appreciation of the discipline of the workmen assembling it. Similarly, his notes throughout The First Man provide great clarification as well as mystery to the events of the text. While some neatly translate words into layman’s terms when Camus himself could not seem to find the word he needed, others offer glimpses into scenes that were to be added later, chopped or changed within the text, leaving a longing for stories that are now never to be heard. It is these references that create an even broader picture for the reader, creating the feeling of a life “lived” rather than a story “told”. These notes equally provide insight into Camus’ own writing process, something that is hidden from the public by nearly every writer, and undoubtedly would have been by Camus too, should the book have been completed. However, with what remains it creates an honesty within the book that helps to make The First Man such a moving epitaph for one of the 20th Century’s greatest writers – and with its reading, allows readers to create a deeper connection and understanding with of his fantastic body of work, leaving one last piece that should be recommend for what it allows us to understand of the man, rather than his ideas. Lachlan is an aspiring writer in any form he can lay his hands on, be that novels, screenplays, journalism, or playwriting. Currently studying a Bachelor of Arts/Bachelor of Law double degree at Monash University, he hopes to find his way into the Arts, one way or another.